Butterfly Network—an AI medical imaging company that has about $350 million in funding. Mindstrong Health—an AI mental health company with about $60 million in funding. LeanTaaS—an AI software company for healthcare administration with about $54 million in funding. Atomwise—an AI drug research company with about $51 million in funding. Gauss Surgical—an AI surgical company with about $45 million in funding. Qventus—an AI-based software platform for hospitals with about $44 million in funding. IDx Technologies—an AI diagnostics company with about $43 million in funding. Arterys—the company has about $42 million in funding. Medopad—an AI remote monitoring company with about $31 million in funding. Viz.ai—an AI diagnostics company with about $29 million in funding. 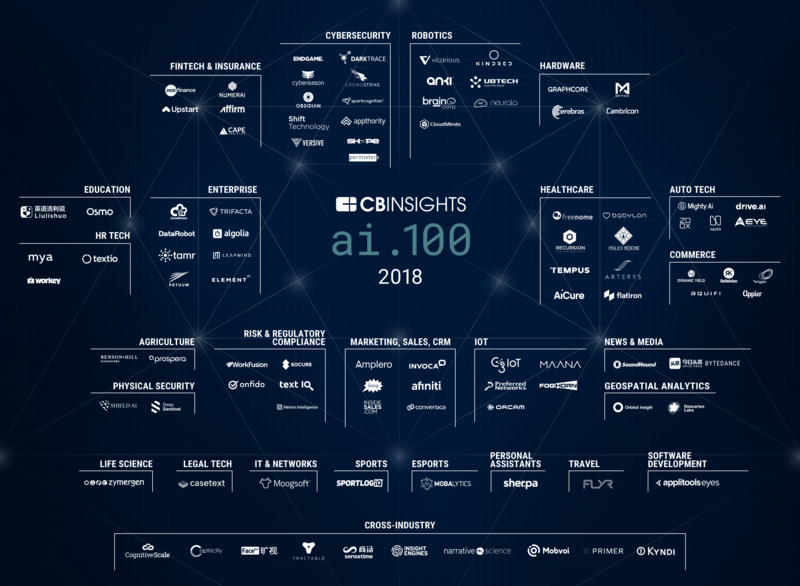 Paige.AI—an AI diagnostics company with about $25 million in funding. Owkin—the company has about $18 million in funding. Niramai—an AI diagnostic company for breast cancer with about $6 million in funding. Insitro—an AI drug research company. The company’s funding was not applicable. Butterfly Network, Gauss Surgical and IDx Technologies were among the top startups with the most patent applications as of Jan. 2018, with 98, 22 and 20 applications, respectively. Butterfly Network ($1.25 billion) was also among 11 companies that were valued at $1 billion or higher. 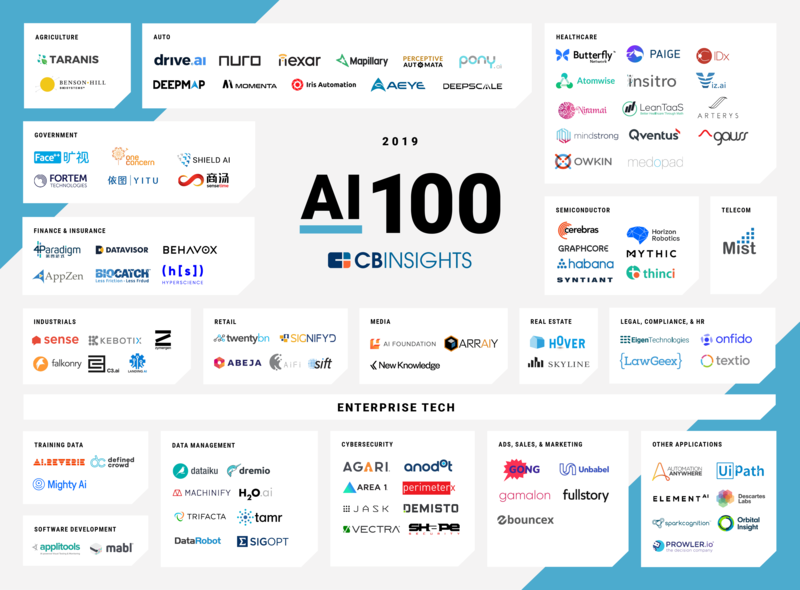 The CB Insights list includes the top AI companies across industries and is based on several factors, including: patent activity, investor profile, market potential, partnerships and tech novelty.